It pays for itself, helps us improve the quality of air we breathe, and increases the value of your home. Net-metering (energy is credited) eliminates the need for battery backup which reduces cost. Solar energy is our future. Remote locations using battery banks can now be installed without trenching lengthy expensive cables. Whether you’re a homeowner, business, or nonprofit, electricity costs can make up a large portion of your monthly expenses. With a solar panel system you’ll generate free power for your system’s entire 25+ year lifecycle. Even if you don’t produce 100 percent of the energy you consume, solar will reduce your utility bills and save you money. Solar panels are not an expense – they are one of the best ways to invest, with returns rivaling those of more traditional investments like stocks and bonds. Thanks to substantial electricity bill savings, the average Canadian homeowner pays off their solar panel system in seven to eight years and sees a return on investment of 20% or more. Solar is a great way to reduce your carbon footprint. Buildings are responsible for 38 percent of all carbon emissions in Canada, and going solar can significantly decrease that number. A typical residential solar panel system will eliminate three to four tons of carbon emissions each year—the equivalent of planting over 100 trees annually. 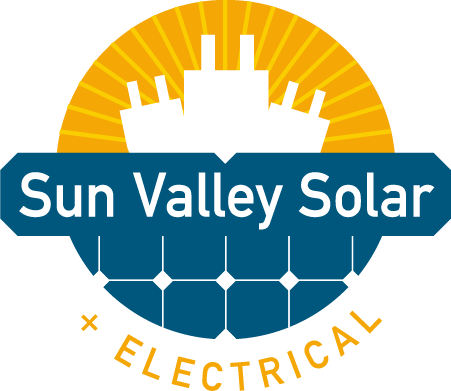 1 Solar panels convert sunlight into direct current (DC) electricity. 2 An inverter converts the DC electricity to alternating current (AC) electrify for your home. Free solar energy is sent to your home. 3 A special solar meter monitors energy consumed and energy produced. The grid powers your home during non-solar hours. Excess energy is sent back to the grid.